Step up your game at dance practice and competitions with a pair of colorful knee highs. These trendy striped socks will be the perfect way to show off your team spirit while you sweat it out on the dance floor. 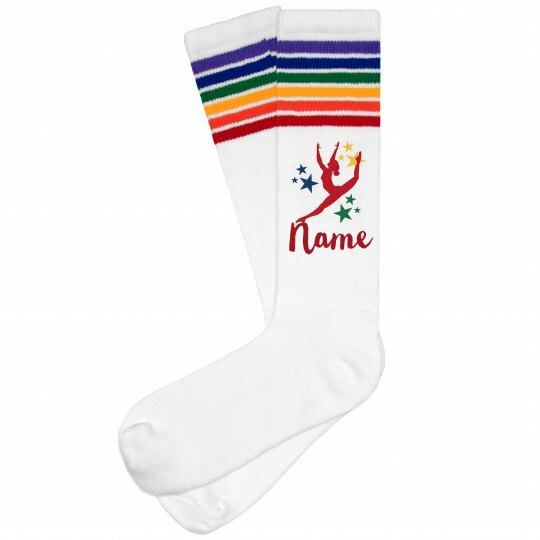 Customize them by adding your name or team's name! Snag a pair for all of the ladies on your team to complete the look.